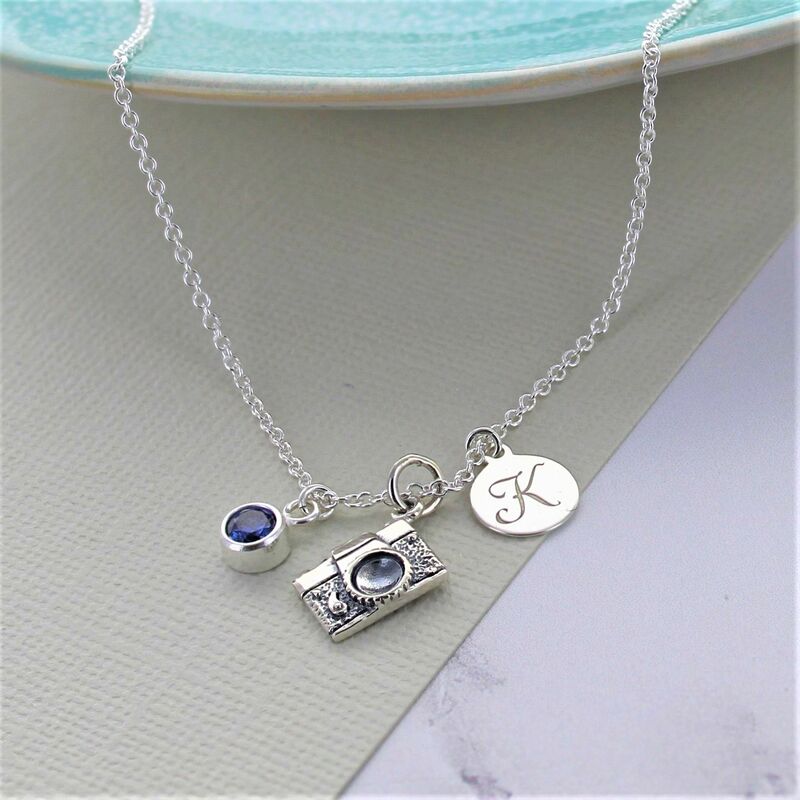 A fun triple charm necklace with a camera, birthstone and initial of your choice. This cute sterling silver camera charm necklace would make a great gift for anyone of any age. It can be personalised with an initial and birthstone. 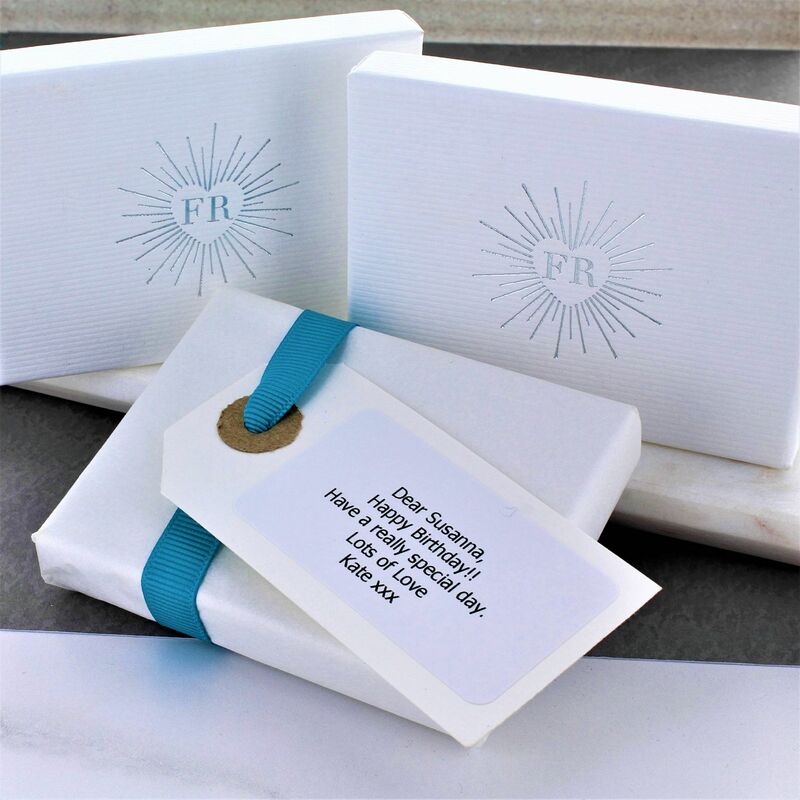 It would make a fun birthday, anniversary or gift just for you!